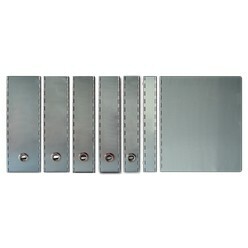 Thank you for your interest in our A5 Ringbinders Aluminium. Please complete your details on the 'Quick Quote' form and click the Submit Button at the bottom of the page. 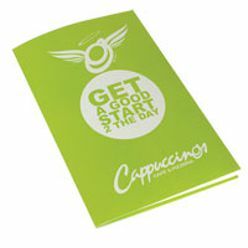 A customer service consultant will contact you about the A5 Ringbinders Aluminium with a quotation. These A5 Aluminium ring-binders are a sure way to keep your smaller documents safe, secure and conveniently compiled together. Designed with the adaptable features to suit your requirements, with accessories to choose between 2 or 4 round or D-shaped rings and a wide variety of ring and spine sizes. 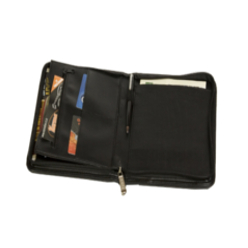 This product also comes equipped with a high quality mechanism to keep your documents stored correctly. 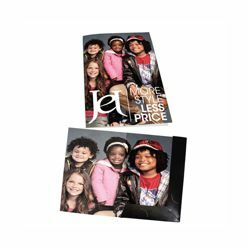 Branding emboss, engravings, die-cutting and digital printing is optional.